Hey guys (and gals). I'm using the dollies for my barrel train frames and I have been looking for a bolt on or weld on type flange to use the trailer ball on; the bottom of the dolly in other words which will become the back when horizontal. I cannot find it. With all your experience with these things, I thought you may have a few ideas. I have the "tounge" part figured out. I may end up having to have them made. I hope all is going great with everyone's post Christmas days. It was probably the best Christmas I've ever had. Both daughters/sons-in-laws and all the granbabies were here at once. I have five grandbabies, two great grandbabies and I'm only 57, but I love it. They are the reason I'm doing all this. Thanks once again and have a wonderful week. I really don't want to use a hitch pin. I'm using a regular hitch. I think I got it figured out. Didn't mean to bother anyone. Thanks. are u pullin it behind your ford? No. Either an ATV or lawn tractor. That's why I've been looking for the right mower. We pull hay wagons with the ford. 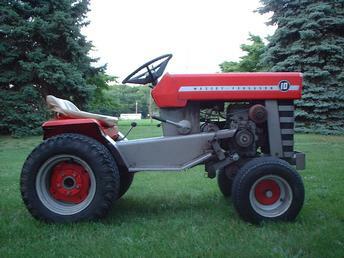 Find a nice Massey MF10 they have variable drive !! And they look cool to. On what Jarod? If you're talking about the forum problem, I had to get KW to help out. 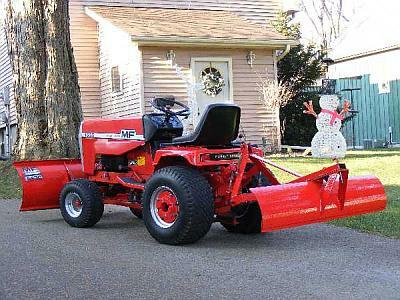 If you're talking about the lawn tractor, no, I haven't found anything yet. Thanks for asking. on this barrel ride are u planning on makin a frame for each wagon? or do u jus wana put an axle below it? I bought a dolly from TS to see how that will work. I think it will. I googled a few and others have done it and it seems ok. They're kinda pricey ($70.00 ea. ), but that's ok. I only need 5. I have drawn plans for a caboose, fire truck, police car, airplane and a street rod. They will each have something that works for the kids to play with during the ride. I'm gonna start with the caboose since it requires the most carpentry. A friend of mine is a finish carpenter and he's going to help me. My wife says I'll have a small fortune in it, but that's ok too. The kids will really enjoy it. Once I get everything together, I will document the build and post it in hopes of helping someone else. Thanx for the interest. » Extreme Metal Products XP900 Trailer Hitch/Tow hook.